My SE crashed when I started to control a spaceship around a black hole with an accretion disk, and it happend again and again WHY?? I can't see any crash logs when it crashed, everything I could see before SE crashed was just the game stopped running Then next thing I could see is just a window that told me SE was crashed, there was no details! Is this a bug or some thing?or just because my computer configuration is too low?? Could be, the new features are still in development. Eliam, That's actually quite common. Yeah, well, that's a fair point, but the problem is, we still have no such limitations in SE, becuase point of view can go all the way through. So, instead of stopping us outright at the point of no return, we can extrapolate the work of this shader to have some images beyond the event horizon. I can neither criticize nor praise this solution, it's pretty cool looking and the only alternative to it is just do not allow camera go beyond that point. hyp_cos, this was discussed earlier. SE's rendering system assumes a static observer (the camera location). Showing the view from free-falling observers, or any non-static observer in general, would require a major effort (and I doubt it would be feasible on a home PC -- Andrew Hamilton's videos were rendered on a super computer). SE may also show the rotating black hole someday, but remember Kerr's metric is much more complicated. Hamilton doesn't even use Kerr black holes for that reason, instead opting for the Reissner-Nordström black hole because it's easier and the interior structure is similar. Eliam, here are actual observations of stars orbiting the black hole at the center of our galaxy. That is a planetary nebula. Planetary nebula are formed when a star is dying due to stellar winds blowing gasses off into interstellar space. It is very likely our own sun will become a planetary nebula when it dies. Just wanted to say Thank You to SpaceEngineer for the fantastic update and all his efforts he is putting into this incredible program! You, Sir, are Pure Genius and have helped immensely in the education of my family members to how truly amazing the Universe really is. Keep up the outstanding work!! 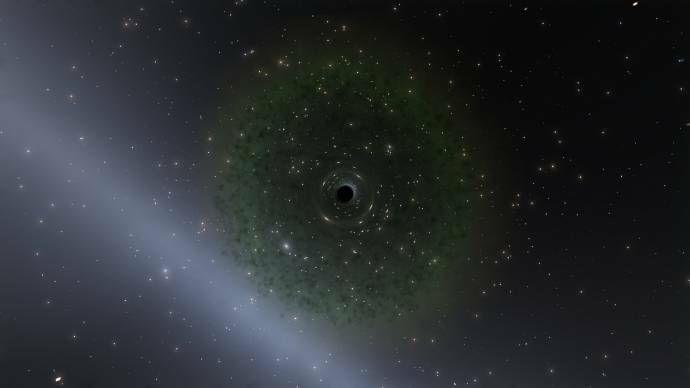 Bug I found: Supermassive black holes at the center of galaxies look like regular-sized black holes when first visited. 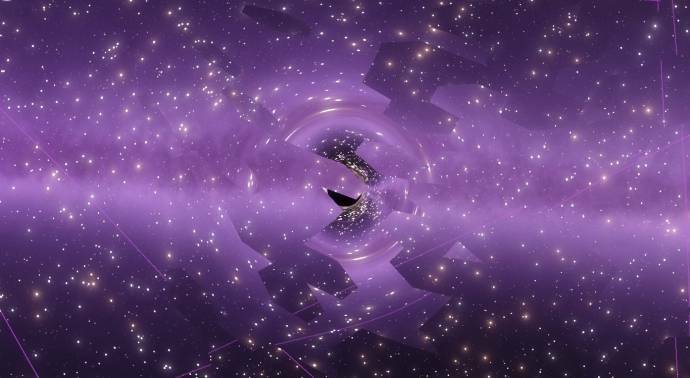 When the game is restarted the black holes increase to their super massive size.